I need to get myself some cast iron cookware so I can start tasting these open fire recipes. Don’t worry, this carrot curry soup has been taste-tested and it’s melt-your-face-off spicy! I know because I accidentally tasted it…with my eye. Ouch! You can easily adjust the spice to your preference though. And you don’t have to sustain any eye injuries either. To be clear, this is more of my mom’s recipe instead of mine. You might remember when she and I made the open fire veggie curry last year using her open fire cooking setup and her cookware. To get anyone new caught up, since I’m gluten intolerant and very sensitive to cross contamination of gluten, I can’t use other people’s cookware if it potentially contains traces of gluten. That’s why I wasn’t able to taste-test this recipe. My mom came up with the basic recipe and I provided input and did the seasonings while she taste-tested. I have to applaud her for trying the dried chilies too. I asked that she try them to see how spicy they are so I know how many to add. Here’s her feedback – “Oh… I’m too scared…can’t I just Google it? !” And feedback from attempt #2 “Ok, it’s not that bad”. Dried chilies – spiciness can be adjusted by changing the number of chilies you use, removing or retaining the seeds, and removing or retaining the chilies before blending the soup. Curry powder – the brand of curry powder you use may be more or less spicy. We used Penzeys the now curry. Cayenne – adjust the amount or omit completely. If you’re new to open fire cooking, I’ve previously written about two different open fire setups as well as equipment I recommend. Additionally, for this recipe, you’ll need a 5 quart cast iron dutch oven as opposed to the large rectangular one I mentioned in the other post. You’ll also want an immersion blender which means you’ll need access to electricity unless you have a cordless one. I was looking for one online and found this cordless immersion blender. It comes with a bunch of bells and whistles but probably a good option if you’re camping instead of doing this in your backyard like we did. Does anyone recommend a more basic, cheaper option that I could link to? I’m thinking the rechargeable variety must be harder to find for safety reasons – you wouldn’t want electricity running to it while disassembling or cleaning it! Nobody wants their fingers cut off. Nobody. Why are outdoor photos so hard? And even harder midday without a cloud in the sky? Or shade? If I were home, photographing indoors, I’d just prop a diffuser up in front of the window but I wasn’t planning on getting anything too fancy while we were outside. Just a few process photos but they were so overexposed that I couldn’t use them. I ended up holding an umbrella up over my food with my left hand and my camera with my right hand to try to diffuse the sunlight a bit while I got photos of the finished product outside. Good enough, I guess! Have you guys started using the Pinterest communities yet? Pinterest has always been more of a search engine than social media but it seems like they are starting to lean toward the social side a bit. I’m hoping the feature catches on in the way it was intended. I can definitely see people joining a bunch of communities and using them strictly for self-promotion of their own website, products, and whatever else without engaging in any other way. Don’t be spammy, people! I started two communities of my own that anyone is free to join. One is a celiac resources community and another is a gluten free cooking tips and recipes community. The celiac resources one is exactly that – we share and discuss anything that may be helpful to somebody with celiac disease or gluten intolerance. 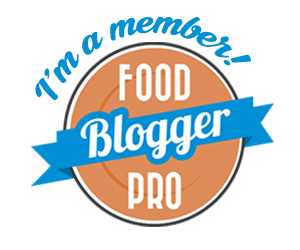 The gluten free community is mostly for learning to cook and prepare gluten free food since there is quite a learning curve but I also plan on sharing gluten free recipes there occasionally. You can click on either link to join but please read the community guidelines (sticky post) before posting anything! Spicy carrot curry soup cooked outdoors over an open fire. This soup is vegan, gluten free, and paleo. 1-2 dried red chilies, depending on your spice preference. Remove seeds if you’d like it on the milder side. 1 can full fat coconut milk plus an additional can for serving. Once the pot is heated, add the chilies and allow to toast for a bit on each side. Remove from heat and add vegetable broth and one can of coconut milk. Use an immersion blender (cordless if you don’t have access to electricity where you’re cooking) to combine until very smooth. I recommend protecting your clothes and eyes because splatters will stain badly and burn your eyes. I know from experience. Serve with optional coconut milk to stir in and garnish with carrot tops, if desired. This is a delicious fall soup. I put some of it in the freezer since the recipe makes so much. I bet it will reheat really well after freezing!